We keep our Google Calendar up to date for all of our events and if you use Gmail, you can subscribe to our calendar and get the days automatically added to your personal calendar. Getting out for a WMBC trail day is the perfect way to give back to the trails we all love. 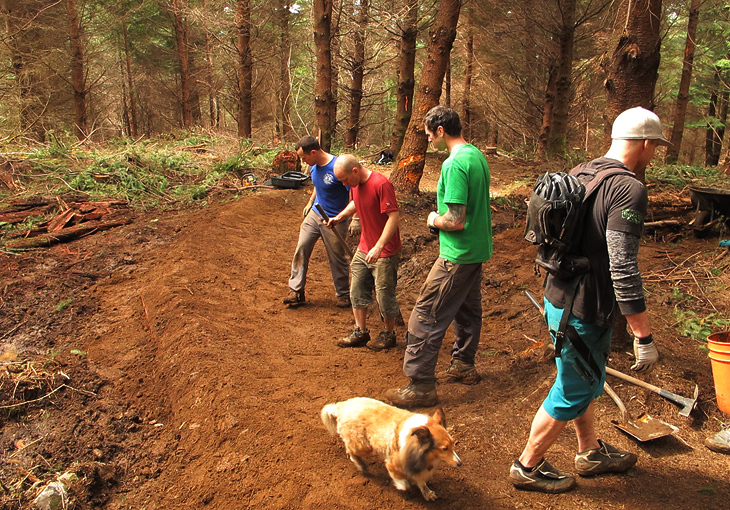 We have trail maintenance days all year long, so there are plenty of opportunities to get out and help. Trail days are sponsored by individual groups or companies that provide food and beverages for the day. Tools are provided so all you need to bring is yourself, appropriate clothing, some work gloves and some extra water. Trail days are generally kid-friendly so we encourage you to bring your kids so they understand the effort that go into the trails we all know and love! Galbraith Trail Days generally meet at 9am at the Galbraith Lane Parking Lot on Samish Way. Larrabee Trail Days generally meet at 9:30 AM at the Clayton Beach/Lost Lake Parking Lot. Stewart and Lookout Mountains meet at 9:00 AM at either Lake Whatcom Park (Stewart) or Lookout Mountain Preserve.